This post is in continuation of my previous post on CSS Selectors where I discussed about three primary selectors : Element, Class and Id. Later we discussed that how can we group multiple selectors to same CSS style. We also discussed how browser applies these CSS rules. There are many more powerful css selectors that we can write for targeted elements. Refer the below link to look on my previous post. Now let’s move to the next selectors and where we will see these selectors follows the DOM structure. The above rule matches all the <a> (anchor) elements under nav tag regardless at what level it is. In the example, I have five child elements in my nav tag, in which four are <a> element and fifth is div element which contains another <a> element. This selector finds all the anchor tags under nav tag. There are some more anchor tags outside nav tag which are not selected. Lets see the example. Then it applies the element which follows the above hierarchy and all the anchor elements inside the div which is inside nav. In the previous example, now it will applies to only one anchor (About me). Here it only finds the <a> elements which is directly under the nav tag. I am using previous example and changing only the selector. Now this applies to only four out of five anchor tags because these four are sibling and another one is inside another div tag. Lets see the example. Similar to earlier, we can add more hierarchy to narrow down for focused search. It is another selector but less used. As the name suggests, it applies to siblings or element at same level. It is combined by a symbol plus (+). One more thing, the siblings should be adjacent sibling as the name suggests and in the same order. We can see that in all the three selectors how DOM tree structure helps in finding the elements easily. Let’s move another set of selectors. As we know that in the era of rich web pages, single page applications etc most of the times pages gets very heavy and contains lots of html elements. So it is our duty to write the right selector which is narrow down the search scope. It is another type of selector which finds the elements that has a specific attribute and apply the provided style on that. Lets see how to use that? First rule finds the elements which contains Index in href. Second one selects the elements which href starts with Index and third one finds the element which href ends with the given value. This rule can be used with any attribute of an element like alt, class etc. You can explore more operators. In this post, I have discussed lots of different selectors which can be used. Even on top it, we can have n number of combinations of these all based on our requirement. 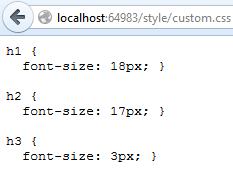 Hope you will be writing better CSS rules using these selectors. Being a .NET developer I worked most of time on server side code and could not pay required attention on the UI as there was always somebody there for that. But in recent times, we have seen awesome things happening in this front with the new technologies like HTML 5, CSS3, bootstrap etc forced me to start learning that. I have started from learning CSS and sharing today CSS selectors with examples. So let’s start from basics. CSS i. e. Cascading Style Sheet is a styling language for HTML documents. It tells an HTML document (which contains set of HTML elements) that how does the elements of HTML will be displayed mostly on browsers but also used for Paper and other media. How to apply CSS on an element. The simplest way to apply CSS to an HTML element is via style attribute of the element but that is not recommended approach. 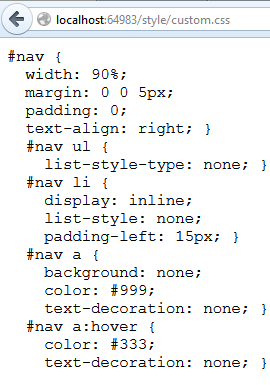 Recommended approach is via style sheet where we put the list of css rules. 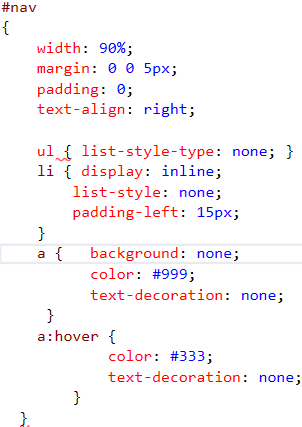 But on which html element or set of elements these css will be applied, is determined via CSS selectors. Browser has a its own selector API which traverses the DOM (document object model) and pick the elements which matches to the selectors. In this post, I have created examples at Plunker for examples so that we can see it running. Why CSS selectors are important? There are three type of selectors. 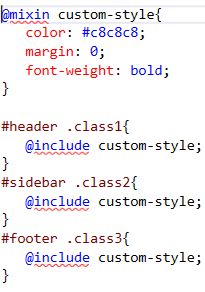 In the example, I have created the css class as able and added the attribute to one paragraph(p) and one div element. Here also there should no space between # and name of the Id. 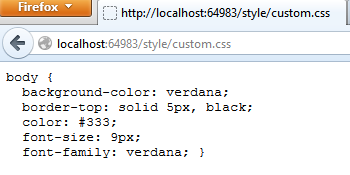 Any element with the Id name as firstPara found by browser, this css will be applied. 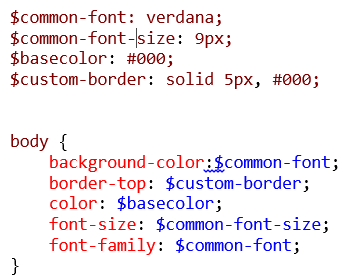 Here also we do not need to make any specific changes to apply the css as while defining the css style, we can simply provide css for the specific Id. As this style can be applied max one element in the document so it is less used. 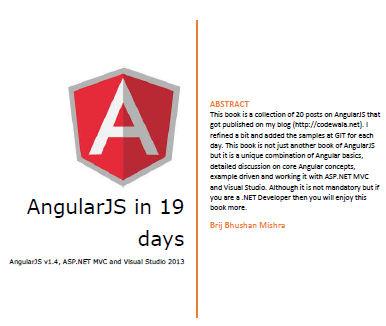 In this example, I have a paragraph with Id as firstPara and for this provided CSS as above. In this post, we have discussed the primary CSS selectors : element, class and id and saw the running examples. We have also seen the that how can we group them in to one and use different selector in code. There are more powerful feature to these selectors, we will cover in next post. In my today’s post, We’ll discuss nesting, mixins and inheritance with SASS. Nesting is very common practice in programming languages and supported in all the major languages in one or other way. Even if we see the normal HTML page then we find that the whole page is structured in a nested manner. Similarly we find it in XAML or even normal aspx page as well. But it is not supported in CSS. The rendered version is above. Here the Sass pre-processor processes the file and converts it that can be understood by the browser. Here all the classes are rendered in separate blocks as required. In above code, we have defined a mix-in variable named custom-style and the same variable, we have used in another classes (class1, class2, class3). To use mix-in variable at another places, use @include keyword as above in the code. Mix-ins can be used in another scenarios as well. 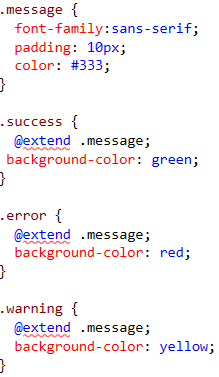 Here if we see the above code then we find that we have created a class .message and later we used this class in other classes success, error and warning with extend keyword. Just let’s see how it gets rendered. As it clearly shows that the classes success, error and warning has power of .message class as well. So we can easily use the inheritance feature as well. So we have seen in last three articles that Sass provides us the capability to use our normal programming techniques that we are using since long, can be used with CSS. This helps us in writing better and organized manner and also helps not to devote much time on normal CSS. Hope you all have enjoyed this post. In my last post, I have discussed briefly about Sass (Syntactically awesome style sheets) and Sass variables with examples. You can find the last post link below. Now in today post, we’ll discuss about operators and inbuilt functions provided by Sass. Sass supports math operators like +, -, *, /, and %. 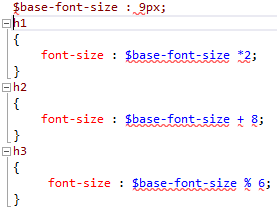 There could be various scenarios using operators like say we have created some basic variables say a variable with font size as 9px. Now in our application we may require various font size based on locations like top, middle, different headers and other sizes for different sections which can be derived from the base font size. Similarly that can be done while using colors and other various case. Here I have defined a base padding and then use the same variable to define the different padding classes that can be used to define padding at various places. We can use these operators at various places based on the requirement. Here in first class we have used the darken color which produces the dark color by 50% while the second one produces the light color by 25%. In next post, I’ll discuss about Nesting and Mixins with examples. And now it’s turn to CSS, I faced tough time working with CSS but new things are coming up. Microsoft always embraces these technologies so that the developer gets the benefit of these technologies and get the first class experience in their Visual studio itself. Today we’ll talk about SASS ( Syntactically awesome stylesheets). As the full form of Sass it self says (Syntactically awesome style sheets). As per the sass website it is “Sass is the most mature, stable, and powerful professional grade CSS extension language in the world“. One does not need to learn any new technology instead uses the existing technology/learning and use that to write wonderful CSS in a very simple way. So how does it actually works? A Sass file is compiled into an normal CSS file while execution. When we run the application, the sass file get converted to css file and returned to the browser. Next how to use Sass? else you can also install via Manage Nuget Package. It adds few dlls and some config entries in web.config. After installing it, It adds in HTTPModule which looks for any incoming request for all css request and tries to find the css file and if css file does not available then it looks for scss file and if it is available the process the scss file and convert it into css file and return it. So your page does not need to know about all the behind the seen processes, you just need to include the normal css file in your project. .Sass provides us the capability to use programming language feature for writing StyleSheet. SASS provides us two syntaxes. 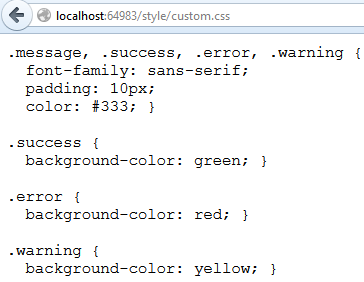 The new syntax is known as SCSS (Sassy CSS) that is easy to write and also a superset of CSS3. I’ll be using it our posts. The file extension for it is scss. While the other older one is normal sass and known as indented css and now is obselete. Doesn’t it look interesting? You get the basic features of any programming language for your css and you dont need to learn anything for this to use except some basics about how to use it. So in this post, we’ll see the Variable and operations. All the processing like here replacing with actual values, is done at server side. So it does not affect any client side catching. If we have here option to create variable, then it should also provide the capability to do some operation over it. Yes, we can do it. We’ll discuss this in next part. Hope you have enjoyed this post. In next post, I’ll discuss about various operations and few other examples.